New Boker Plus Mosier Tactical Fixed Blade! This David Mosier collaboration with Boker is one of the most comfortable small fixed blades we have ever sold. Sandvic steel and a modified Wharncliffe blade shape give this knife a great deal of power. The jigging of the Micarta handle, a surprising luxury on a knife at this price, give the knife a great grip. This is a beautiful knife to look at, hold, and use. Win a $100 KnifeCenter Gift Certificate by following @KnifeCenter on Twitter by 12:00PM Eastern, July 1, 2010. At 12:00PM on the 1st of July, we will randomly select one follower who tweeted I just entered the $100 Knifecenter Gift Card Contest! Just follow @Knifecenter and retweet. Click here for complete rules for the contest. Even if you don’t win the $100 KnifeCenter Gift Certificate, continue to follow @KnifeCenter, to receive real time updates on exclusive deals, coupons, and product offerings as well as up to date news from the KnifeCenter. Reissued from the olden days, this is a great reproduction of early 20th century combat weaponry. These are made in China, but the manufacturing standards are high and the product is really first rate and the price is unbelievable. These are a perfect gift for anyone who served int the special forces in the 20th century. Colt V-42 Dagger. 12 1/2″ overall. 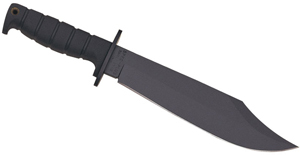 7″ 440 stainless double edge dagger blade with black finish. Stacked leather washer handle with black finish guard and skull crusher pommel. Brown leather belt sheath. Made in China. New Boker Plus Besh Wedge Neck Knife! This neck knife combines the idea of the Besh-Wedge blade with the convenience of a neck knife. 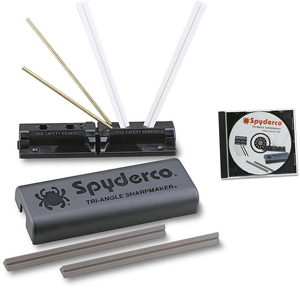 The four inch blade is slender, and extremely sharp right out of the box. The entire concept of the Besh-Wedge blade is pretty incredible. Rather than a typical knife with one or two sharpened sides and a point, the primary variation of the Besh-Wedge has two sharpened sides which converge into a sharpened wedge tip. It is no wonder that this design is taking the industry by storm. The actual knives are difficult to properly describe, and the pictures do not do these knives justice. You really need to see it to believe it. 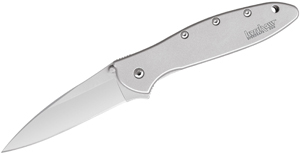 And at $19.95, there is no excuse to not satisfy your curiosity with the Boker Plus Besh-Wedge Neck Knife. New Spyderco Perrin PPT Folding Knife! The Fred Perrin PPT is the coolest, all new, every-day-carry design that Spyderco has introduced this year. The uniquely shaped blade is S30V stainless, and the handles are a crazy sculpted G10. The PPT comes with a lanyard already tied on to work with the pocket clip for easier fast draw! This is about the most clever contraption we have seen in a while. This emergency tool from Columbia River Knife and Tools, will be there when you need it. Instead of being stashed in the glove box, this one clamps right on your seat belt. It has a cutter, a light and a glass breaker. These make a very thoughtful gift, too.